Start your review of Kevin Vayachack . Thank You! 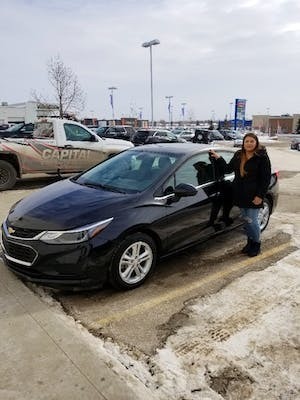 Your message has been sent to Kevin Vayachack at Capital GMC Buick Cadillac. 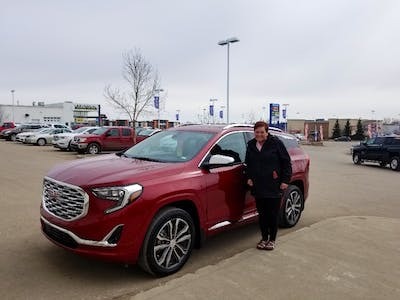 We walked in with an issue with vehicle we had and came in to looked at a few used vehicles and ended up walking away with a new Terrain. Our salesman was top notch, patient and very helpful in our search. 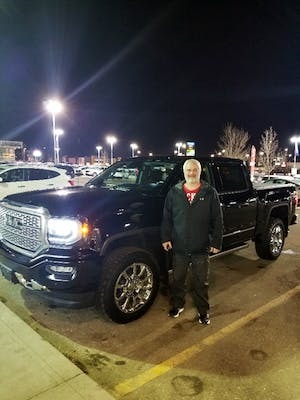 "Such great, caring service "
Huge thanks to Capital GMC for an awesome sales experience this past weekend. 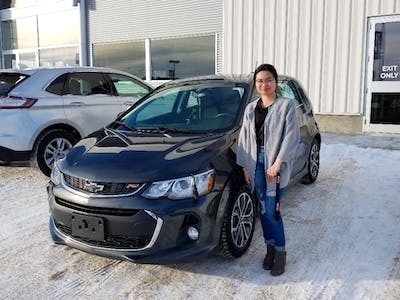 I love my 2018 Chevy Sonic! Shoutout to Kevin V and Gage for helping me! Super friendly and so patient with me. Definitely worth the two hour drive. I’ll make sure to recommend you guys to my friends! Thank you so much!! Kevin was great to work with. Knew what I was looking for and didn't try to talk me into anything else. When we discovered the car didn't come with a block heater, he made sure I had a new battery so that I can be driving no matter the temperature. I couldn't be more pleased with my purchase! Great service and knowledgeable and friendly staff. You should definitely consider using this dealership for your next vehicle purchase. 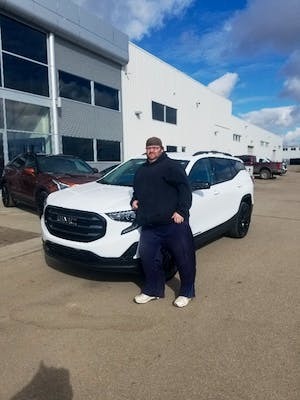 Since I was an out of province buyer Capital made the process of purchasing this vehicle as easy as possible for me.